Even if you got your discharge of bankruptcy under Chapter 7, creditors and bill collectors might still contact you. Perhaps you thought the nightmare had come to an end—no more phone calls and letters about your debts—but then you realize you forgot to include one or several debts in your bankruptcy file. Don’t despair, as you can still amend your bankruptcy file. It will take some work, but you might have options to fix your mistake. You can amend a discharged Chapter 7 bankruptcy by following these steps. Go to the website of the court handling your bankruptcy file and look for the Download Forms section. You will need to download a motion to reopen the case to amend the bankruptcy petition. If you cannot find the form online, go to the clerk’s office at the courthouse where a judge heard your bankruptcy case. After filing the motion, a judge will have to sign the order to reopen your case. You will have to choose a schedule depending on what you wish to amend. If you want to add omitted property, you will choose Schedule A for real property or Schedule B for personal property. You also have the Schedule C option available for properties covered by an exemption. Schedules D, E and F refer to adding a creditor. You will choose Schedule D for a secured creditor, such as a car or house loan; Schedule E for a priority creditor, which includes taxes or child support; or Schedule F for non-priority creditors like those pertaining to personal loans. Upon paying the filing fee and presenting the motion package to the court, you will receive a return date. The clerk will give you more information regarding the specific procedure in the district in which you filed your bankruptcy. If you have a bankruptcy lawyer, he will file the paperwork electronically and tell you what you need to do next. You will further need to send copies of your motion by mail to your omitted creditor, to the trustee handling your case, and to all parties included in your initial hearing. Once the court establishes a return date, make sure to appear in court on that date. Failing to do so might get your motioned dismissed, and you will have to go through all the steps again. 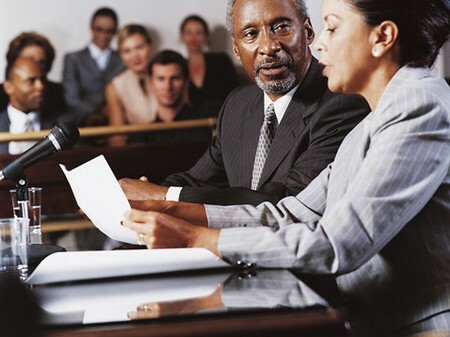 If the court approves your motion, send a copy to your creditor and inform the court that you followed the procedure. Check to see if your Chapter 7 bankruptcy earned a “no asset” case designation. Most courts don’t find it necessary to amend a “no asset” and consider your debt discharged even if you omitted a creditor. Contact your creditor and explain that a court discharged you as bankrupt under Chapter 7. If your creditor insists on collecting the debt, you can file a motion to amend and a sanctions motion.